The intoxication of spring has been known to send bodies rushing into action in a release of energy pent up over months of cold and dark. Even for people who’ve worked out in gyms and, gulp, braved the fair weather breaks, spring can be an invigorating lure into action. A few cautions, courtesy of Roosevelt Island Urgent Care, the single routine medical facility in tour community, can help you make the most of out the upcoming season. One thing most of us don’t know is that allergy season can begin as early February. Flowers, bushes and trees send mega volumes of pollen surging into every nook and corner of your neighborhood. Even grass, a herald of better weather ahead as it increases in color, lofts misery causing pollen into the air. Each of these can kill the joy of spring weather very quickly. Here’s where RIUC can help. At 520 Main Street, Urgent Care’s an easy stop for most of us, and you don’t need an appointment. Professionals are always on hand to help, and the convenience can’t be beat. You can always call first (1-646-977-7974), if you have a question. Closely associated through common causes with allergies, asthma symptoms — coughing, difficulty breathing and chest tightness are the most common — can come unexpectedly. 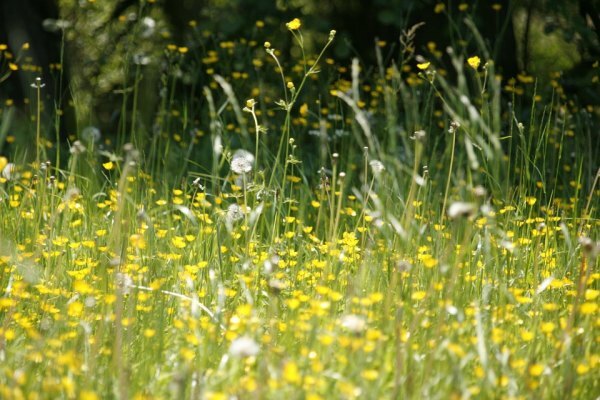 Asthma is more frequent in the spring because of the expected — pollen — but symptoms can also be triggered by fertilizers, insect repellents and even changes in air temperature. Spring cleaning is a common and frequently unsuspected cause of asthma because of the dust stirred up and the chemicals used. It’s worth checking in to see if an inhaler or other solution can help. You may want to talk with a doctor or other medical caregiver to verify your symptoms as asthma. One big reason is that we are out and about more and in increased contact with others. Protect yourself by washing your hands frequently and not touching your eyes, nose or mouth more than necessary. If symptoms persist, for more than a week, it might be best stop by and see a doctor to be sure it’s a common cold and not anything more serious, like the flu. Here again, RIUC can be an easy way to get good advice in the most convenient and practical way. Easy to forget for city dwellers, but deer ticks, which cause Lyme disease, become active when the temperature rises above 35 degrees. They attack exposed skin. You need to be most aware if improved weather encourages you to head out for hikes in rural or suburban areas. If you do find a tick attached to your skin, remove it if you can with a pair of tweezers. Then watch out for a rash or a fever for the next couple of weeks. Should you be unable to remove the tick successfully or if you get a rash or a fever, it’s important that you see a doctor as soon as possible. Sports related injuries abound in spring as people head outside to enjoy activities denied them all winter. Running, power walking, skateboarding and cycling all increase your risk. Roosevelt Island Urgent Care recommends the following precautions for smart and safer exercise. Warm up — injuries as well as aches and pains can be reduced if you take a few minutes before jumping in to get blood flowing in your muscles. Stretch — after a short warm up, simple stretches increase circulation and flexibility while decreasing the risk of pain and injuries related to still tight muscles. Take breaks — because strenuous exercises can raise body temperatures higher than with most flus, resting in a shady place lowers the risk of overheating and related ailments. Hydrate — before and after exercise, loading up with water is imperative for enjoyment, safety and health. Water helps your heart pumping blood efficiently and increases muscle regulation. Keep in mind that sugary drinks are less useful (and more expensive) than a refillable water bottle you can carry with you. Don’t Ignore Injuries — playing through pain is for high paid athletes supervised by physicians, not you and me. If something hurts, take time off. RICE: Rest, ice, compression, elevation is the most popular prescription for minor injuries. If pains continues, see a medical professional. Cats hide their injuries. You’re not a cat. Regular Days Off — the positive effects of exercise are increased, and the negative ones decreased, when you regular give your body a day or two of rest on a weekly basis. Recovery time from the stress of exercise matters. Enjoy the pleasures of spring and use common sense to make them even better. Roosevelt Island Urgent Care at 520 Main Street stands ready to help. Easier than waiting for an appointment and way more efficient than using the emergency room, RIUC is open seven days a week from 8:00 a.m. to 8:00 p.m., no appointments required.